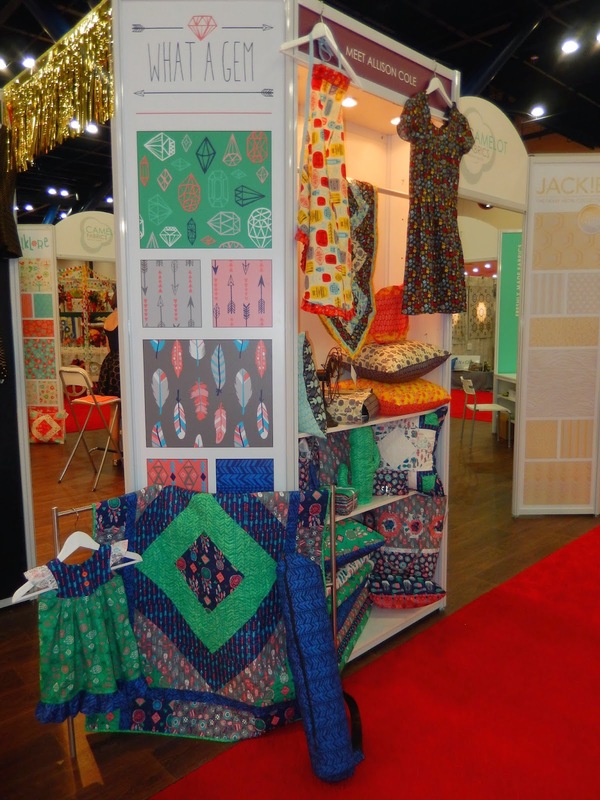 I'm back again, with the continuation of my delightful tour of upcoming fabric collections featured at Fall Market in Houston. But before I get to that, did you get a chance to enter my giveaway? Mr. Randomness will be choosing a winner Sunday, so don't dawdle! Now, back to our regularly scheduled program. Heather Givans has a very unique theme for her first collection -- succulents. The quilt in the far right is called Succulent Path, and will be released as a free pattern from Windham. It was designed by Sarah Sharp of No Hats in the House and quilted by Angela Walters. It's nice to see some fabric appreciation for the type of plant-life that actually survives here in the desert. Isn't this paper-pieced wall hanging neat? My favorite print is the border print. I'm almost tempted to make my daughter a dress...almost. 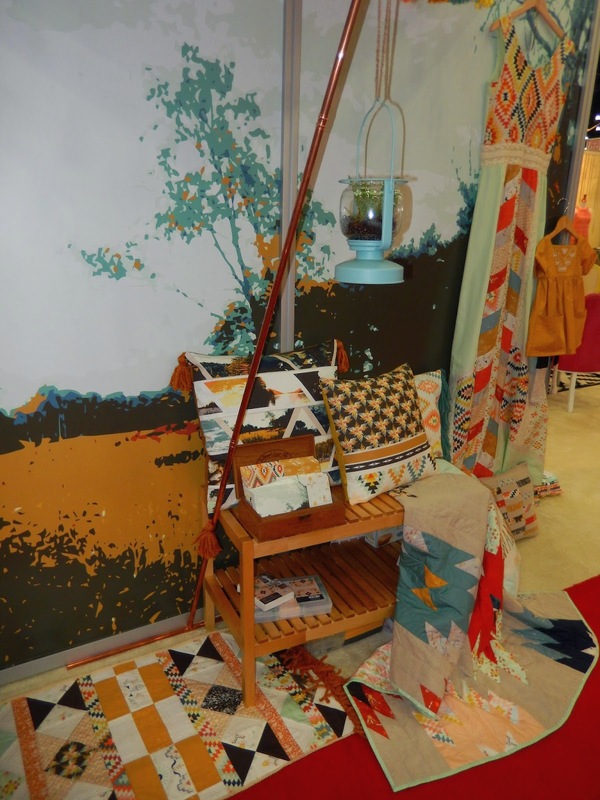 Southwestern motifs are getting a modern sensibility. What a Gem is a new collection by Allison Cole for Camelot fabrics. It breaks free from the stereotypical kokopellis and Native American pottery. Recollection is Katarina Roccella's delightful take on the theme. 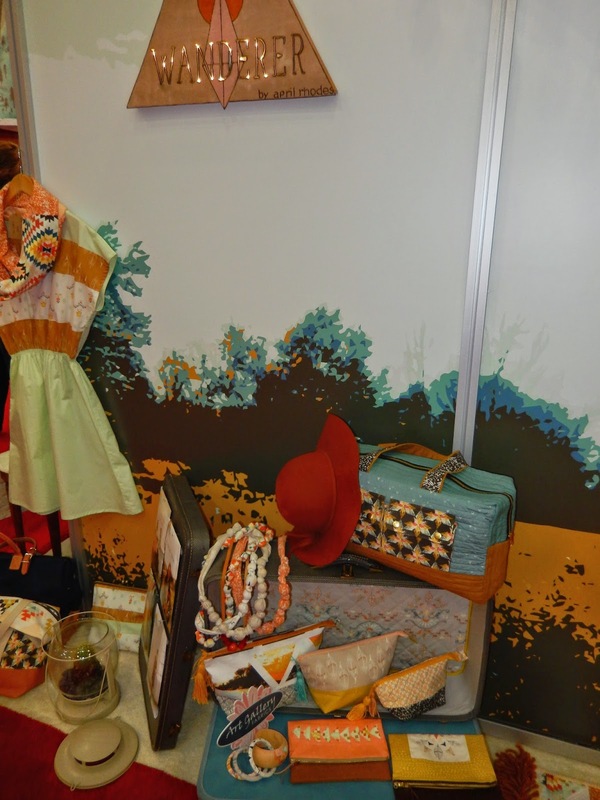 Maureen Cracknell's Wild & Free collection contributes to the allure of the southwest too. Wanderer is April Rhode's take on the southwest. I'm so pleased to see more from her, given the beauty of her previous line for Art Gallery, Arizona. Oooh. 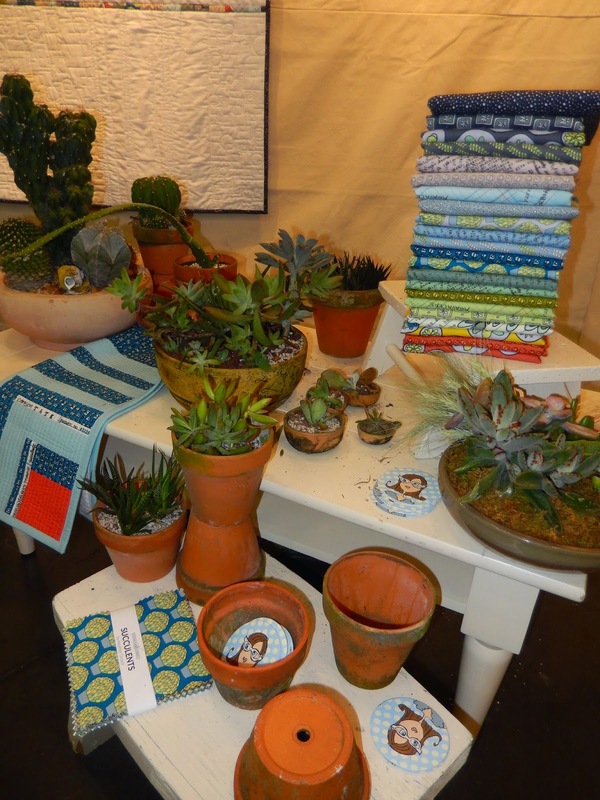 That blue arc succulents quilt (or whatever it is) is beautiful! Gorgeous fabric, how lucky you are to go to the Houston Show...maybe someday.